I bought some cards today to send to people, and liked this one very much – mainly because it contains both bicycles and a trombone. It was taken in 1969 by an unknown photographer. 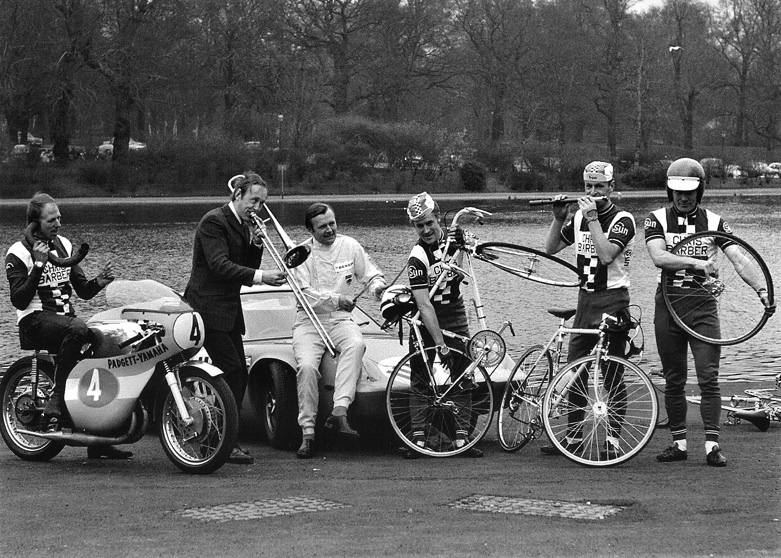 The caption is French, but the riders all have ‘Chris Barber’ on their shirts, and it’s a UK car. As it happens, Chris Barber is a trombonist, band leader and racing car enthusiast, and I’m fairly confident the trombonist in the picture is indeed Mr Barber.